The approach to counselling used here focuses on the stories of people’s lives and involves finding ways in which people can change their relationships to whatever problem or difficulty they are facing. This approach is known as ‘narrative therapy’. It is an approach that can be used in relation to any difficulties that a person may be struggling with. This approach to counselling often makes use of supportive letters and documents that can be referred to in between counselling sessions. It also often involves linking people with others who will be helpful and supportive along the way. If you would like to know more about narrative therapy, feel free to ask your counsellor – or there is also a lot of information on other pages on this website. We have a strong commitment to ensuring our counselling service can respond to the diverse contexts of people’s lives. The approach that we use in counselling is mindful of how societal ideas about family, sexualities, genders, age, class, and cultural background significantly influence people’s experiences of life. The approach is also vitally interested in the unique skills and knowledge developed by each person in the course of living their own life, in their own context, and in their own ways. Carolyn Markey has considerable experience and great interest in counselling children, young people, and their families or caregivers in relation to a broad range of problems that are affecting their lives. 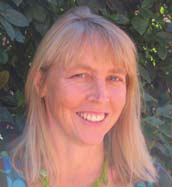 She has worked in a variety of therapeutic contexts including major non-government welfare organisations and supported accommodation for young people, and has also used narrative ideas in tertiary and adult education settings. Carolyn has particular experience in the areas of family separation, effects of violence and abuse, school-related difficulties, and working with people affected by concerns about anxiety or depression. Carolyn also enjoys using narrative ideas in group settings where people come together to talk about similar issues they are facing. These have included groups in which people wish to talk about sole parenting, living with the effects of violence and abuse, or groups of men wanting to take responsibility for abusive actions. Carolyn also has considerable experience supervising other practitioners in narrative therapy. Chris Dolman values and enjoys working with individuals, couples, children, and families who are responding to a broad range of problems and concerns in their lives and relationships. Chris works both in private practice and for a non-government organisation. In addition to having considerable experience in working with people facing issues of violence and abuse, he has worked with people around family separation, parenting, grief, addictions, mental health concerns, and relationship matters. If you wish to see Carolyn or Chris in therapy, or are interested in supervision, appointments can be made by calling us here in Adelaide on 08 8223 3966.